The original Roberts Library Board of Trustees decided unanimously in 1975 to name the new Roberts Library for Hazel Mackin, the person whom they believed had done the most through the years to encourage reading in the Roberts-Warren Community. Mrs. Mackin taught in the Roberts Elementary School for 35 years and was the first teacher for hundreds of Roberts High School graduates. As the Roberts Grade School had no central library, the first, second, and third graders read books from her fascinating little library in the back of her classroom. Upon completion of their assignments, students moved to the library area where they sat on small chairs around little tables and read their library books. The little chairs and tables were constructed by Custodian Levi Waughtal. Mrs. Mackin was also a talented piano player and vocal music teacher. She directed several grades 1 through 8 musical productions each year. As a long-time Roberts resident, Hazel Rushenberg, who would become Mrs. Mackin, was a member of the 1913 graduation class, the first graduating class of Warren Union High School which would later be renamed Roberts High School. She died in 1974. Mrs. Mackin’s husband, Arthur, died at a young age and she became a single parent to their two sons, James and Eugene. As James (Jimmy) was beginning college life at River Falls State College, now the University of Wisconsin – River Falls, he became a victim of polio and spent the remainder of his life in an iron lung. He died in 1960. Eugene (Buster) married and became the father of three children. He resided with his family in Fairbanks, Alaska, until his death in 2004. Mrs. Mackin’s teaching, suggestions, counseling, and inspiration have encouraged many people who now enjoy successful lives throughout the United States and the world.  The new Hazel Mackin Library is the Roberts-Warren community’s tribute to one of its own who contributed so very much to this area and regions far beyond.